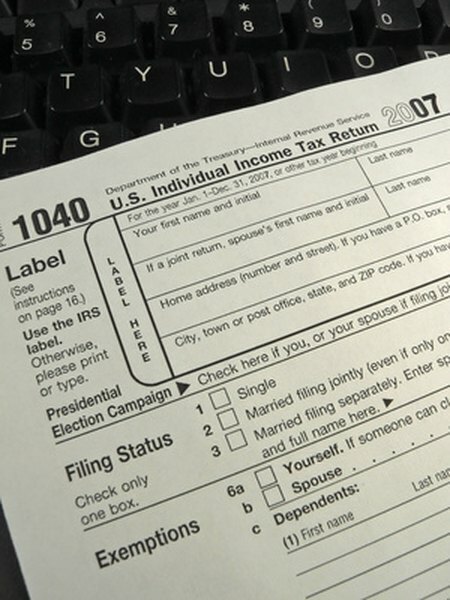 You must report capital gains when you file your federal income tax return. The Internal Revenue Service considers stocks to be a capital asset. The market value of your stock can rise or fall without generating a taxable event, but once you sell your stock, the IRS gets involved. You will have either a capital gain or a capital loss, depending on whether you sold the stock for more or less than your cost. Different tax rates apply to long-term and short-term capital gains, so it is important to keep track of your stock purchase and sale dates. The IRS classifies capital gains and losses on stock transactions as either long-term or short-term, depending on the length of time you owned the stock prior to the sale. If you owned your stock for one year or less prior to the sale, your gain or loss is short-term. A sales transaction for stock you have held for more than one year will result in a long-term capital gain or loss. Your gain or loss is determined by whether the sale price, less any sales charges and commission, is more or less than the stock's basis. The stock's basis is typically the amount you paid for the stock plus any sales charges, commissions or other costs of purchase, according to the IRS. Under certain circumstances, such as a non-taxable stock split, you might have to adjust your cost basis. The rules for determining long-term and short-term capital gains are a little different on shares of mutual funds. The fund manager might buy and sell stocks within the mutual fund's portfolio, resulting in either a long-term or short-term capital gain on that transaction. These gains or losses are passed on to the mutual fund's shareholders. Mutual fund distributions might include a combination of dividend income, long-term capital gains and short-term capital gains. Your tax liability is based on the long-term or short-term nature of each transaction within the mutual fund's portfolio, regardless of how long you have held your mutual fund shares. The IRS requires long-term and short-term capital gains and losses on stock transactions to be figured on Schedule D of IRS Form 1040. Completing this form will give you your net capital gain, which is the amount that your net long-term capital gains exceed the sum of your net short-term capital loss. J.P. Morgan Asset Management: How Does a Mutual Fund Affect My Taxes?